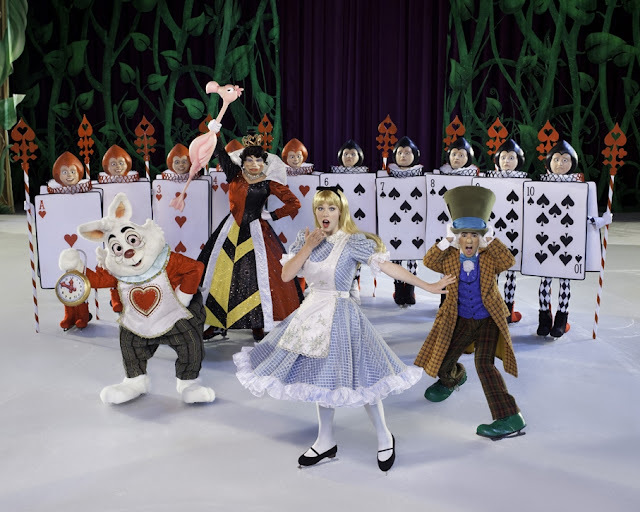 Come ChiIL out with ChiIL Mama at one of the coolest shows on ice! See a magical mash up of Disney favorites all in one place, for four nights only. Enter at the bottom of this post for your shot at a FREE Family Four Pack of Tickets to opening night, September 13th. It's easy to enter and winning rocks! If you didn't make it to Dress Like A Pirate Day and score some of the tickets there, you have another chance. 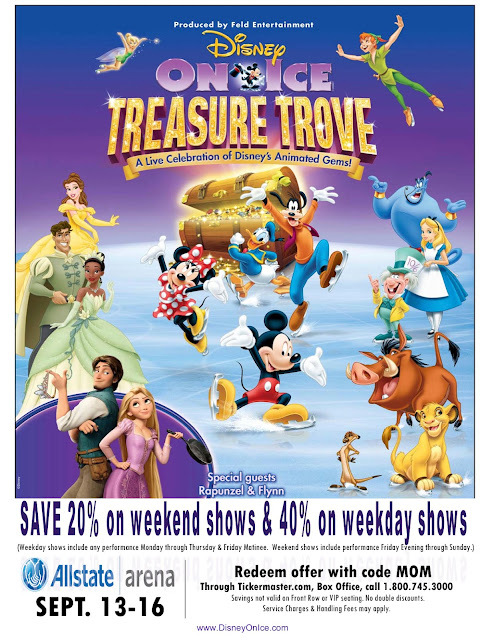 ChiIL Mama's got 4 free tickets to see Treasure Trove on September 13th at 7pm at Allstate Arena. How many characters can you identify? Parents Vs. Kids....no peeking ahead!! Back in the day, I played Alice in Wonderland for two seasons in a children's theatre show called Legends Come To Life. I miss my fuzzy 3 foot tea cup and funhouse mirror...but I'm still in touch with other actor friends I met through the production! I've still got a soft spot for Alice and enjoy seeing others embody the character. ChiIL Mama/ ChiIL Live Shows will be there for the opening night performance and we'll have a photo filled review for you then. We're also excited to offer one of our lucky readers 4 free tickets. Enter right here for your chance to win! *Wait for Rafflecopter to load up right here (if you've gone through RSS feed or are scrolling down the blog and don't see it, click on the actual page title and it should pop right up). Enter like we vote in Chi, IL...early and often. Winning rocks! Entries accepted through midnight on 9/3/12. Winner will be announced on the 4th. *Apologies, we had to bump our earlier deadline up to midnight on the 3rd to allow enough time for ticket allocation. Thanks to Feld for once again providing us with give away and review tickets. I'd love to win these tix and take my girls to see Disney on Ice. Thanks for the chance!